A unique look at the works of Djamel Tatah and those of the minimalist artists in the Lambert Collection. Djamel Tatah's refined paintings reveal the way in which humanity can assert itself as a presence in the world. From reality, ordinary life and world events, the artist paints life-size figures which seem to be suspended in time, set in unspecified places and caught up in a world of silence. Reinterpreting solitude as virtue, Tatah intends to surpass reality, experimenting with colour, light and line to explore his feelings of being part of the world. This catalogue creates a dialogue between the collection's minimalist artists such as Robert Barry, Robert Ryman, Robert Mangold, Richard Serra, Sol LeWitt and Brice Marden, among others, and Tatah's sober refined life-size figures, which somehow seem suspended in time and detached from the world. The artist draws inspiration from everyday situations or major news events to create a metaphysical representation of contemporary man. While Djamel Tatah's work shows a clear relationship with modernist and contemporary monochrome painting, it is also part of a more classical tradition. Hence, the Paris School of Fine Art (ENSBA), where has taught since 2008, has loaned over fifty works from its own illustration collection, works by Delacroix, Matisse, Corneille de Lyon, Cimabue, Giotto, Piero della Francesca, and more, with a view to broadening the dialogue with Djamel Tatah's work over time. 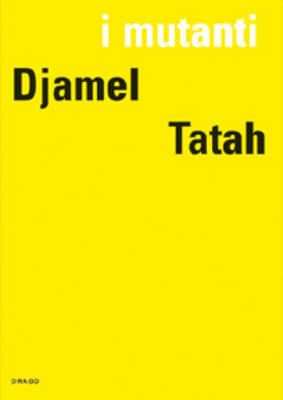 Buy Djamel Tatah by Djamel Tatah from Australia's Online Independent Bookstore, Boomerang Books.